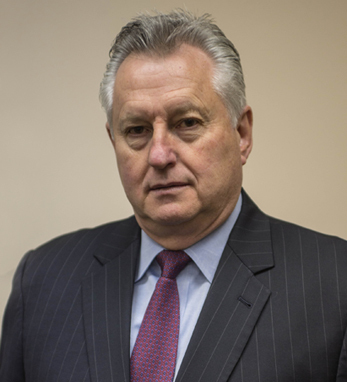 Since 1995, Walter Fahey has been senior vice president and CIO at the Maimonides Medical Center in Brooklyn, NY. With more than 25 years of information technology experience in healthcare, Walter has held positions at the Hospital for Joint Diseases and held information technology leadership positions at Baxter Health Care, St. Vincent’s Medical Center, and the New York Methodist Hospital. Under Walter’s leadership, Maimonides has received numerous accolades to become a nationally recognized center for healthcare IT, including the 1998 ComputerWorld Smithsonian Award, the Nicholas E. Davies Award, and American Hospital Association’s “Most Wired” and/or “Most Wireless” company. Additionally, Walter sits on the board of the American Hospital Association, One View, Aruba, and Unisys and was instrumental in developing the Brooklyn Health Information Exchange in 2005. Walter is a second-generation Irish American with maternal (Early) roots in Co. Cork, and Fahey roots in Galway. He holds an M.B.A. from Fairleigh Dickinson University in New Jersey.